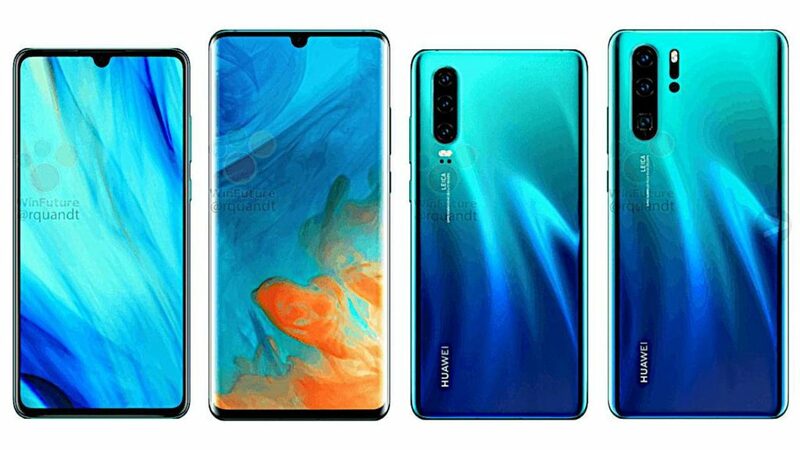 Huawei will be officially launching its most awaited and highly specified cellphone Huawei P30 Pro at an event in New Delhi. Huawei P30 pro was launched globally in ‘Paris’ last month and has received lots of praises all around the world. Huawei P30 pro has curved glasses at front and at back as well which gives this cell a premium look. The smartphone’s modern design has very thin bezels and curved edges. Huawei has managed to reduce the bezels at the top and bottom which gives it a bezel-less look. This phone comes with a 6.47 inch full hd+ OLED screen with a resolution of 1080*2340 pixels. The display houses the front camera inside a water-drop notch and also has an in-display fingerprint scanner. The heart of this phone is laced with Kirin 980 processor coupled with ARM Mali-G76MP10 GPU. This phone has 8 GB RAM with inbuilt memory of 128 GB. This phone is also available in 256 GB and 512 GB inbuilt memory variant as well. Each variant can be extended to memory of extra 256 GB with nano memory card. The biggest buzz-making feature of the P30 Pro is its camera. The device includes a quad-camera setup at the back with support for 5X optical zoom, 10x hybrid zoom, and 50x digital zoom. The primary camera consists of a 40MP f/1.6 SuperSpectrum sensor with OIS and a second lens with a 20MP f/2.2 ultra-wide angle sensor. The third sensor is a periscope-style 8MP telephoto lens with 50x digital zoom and OIS to get close to your subject. A Time of Flight (ToF) sensor completes the quad-camera setup on the P30 Pro. ToF sensor helps camera to identify the position of object and adjusting the focus. The device was launched in Paris starting at EUR 999 (approximately Rs 78,000) for the 128GB variant and goes up to EUR 1249 (approximately Rs 97,200) for the 512GB variant. The phone would be available in Black, Aurora, Pearl White, Breathing Crystal and a new colour called Amber Rise. The device has been listed on Amazon before the launch event where users can register themselves to receive the latest updates.